At the Percussive Arts Society International Conference (PASIC) in Columbus, Ohio, a group of fabulously talented students from the Peabody Institute of Music in Baltimore, Maryland, performed the Ballet mécanique in a newly-edited version, synchronized to the Léger/Murphy film. 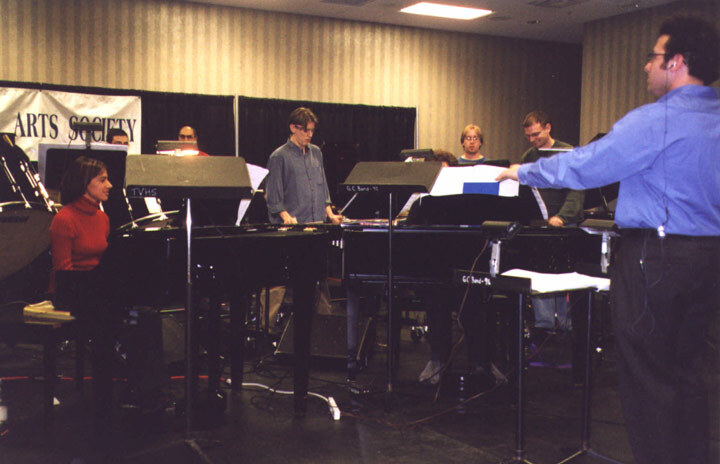 The performance was conducted by undergraduate percussion/conducting major Julian Pellicano, who initially proposed the piece to PASIC, arranged with Schirmer for performance rights and materials, assembled and rehearsed the ensemble, and brought Paul Lehrman in to help with the technical aspects. 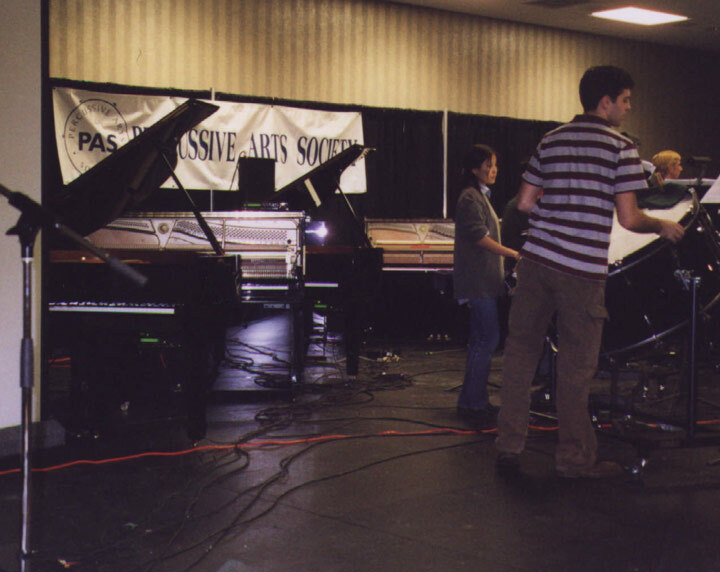 Eight Yamaha Disklaviers (four 63-inch grands and four uprights) were supplied by The Piano Gallery, of Dublin, Ohio, for the player piano parts, as well as two Disklavier DGTs for the live pianists. In order to reconcile the considerable differences in length between the film and Antheil's music, Paul had to cut the score significantly. Pellicano decided several weeks before the conference that the group would play the piece at a tempo of 110 bpm (almost as fast as the San Francisco Symphony), and Paul edited the music so that it could be played at that tempo and still fit the film. 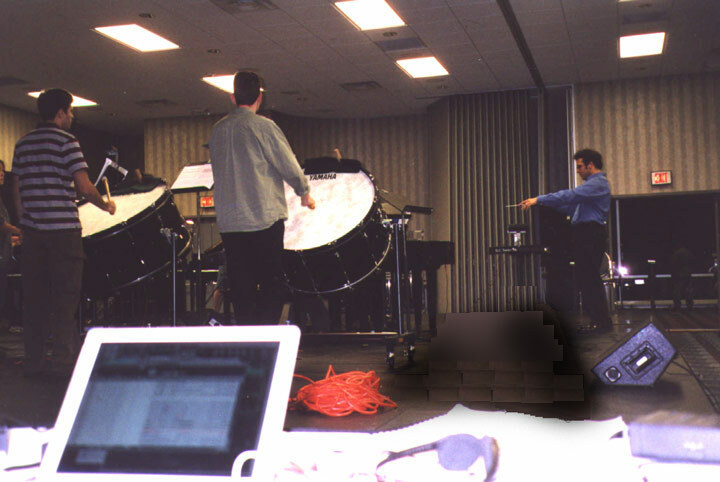 Paul then provided the conductor with a custom audio CD containing a clicktrack in one channel and a reduction of the pianola parts in the other, both edited to conform with the cuts in the score, so that Pellicano and the group could rehearse without needing to bring in any Disklaviers. For the performance, Paul provided a Digital Video cassette of the film, copied from the print now owned by Anthology Film Archives, and added SMPTE timecode on the audio track. The timecode signal was fed to a laptop computer (a Macintosh iBook) which contained the MIDI sequences for playing the Disklaviers. This allowed the Disklaviersand also the conductor's clicktrackto be timed precisely to the film, so that the music and the film could start and stop exactly together. How did it go? In a word: amazing. The ensemble was incredibly well rehearsed, and they simply played the hell out of the piece. In a conference full of wonderful music by professional and student ensembles from all over the country, many listeners said it was the best performance of the day. On the heels of that success, Pellicano arranged for the performance to be repeated at the Friedberg Concert Hall at Peabody Conservatory on February 17, 2003. 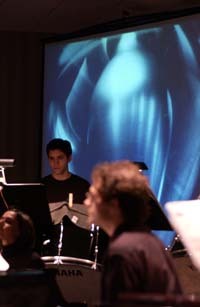 In addition to the film and the newly-realized soundtrack, the concert included the 1952 version of the Ballet mécanique (without the film), and other seminal percussion works. Unfortunately, on the day before the concert the worst snowstorm in the history of both Boston and Baltimore hit, and Paul was unable to get to Peabody—as were a number of the musicians. Nonetheless, the show went on, with a couple of Peabody students drafted to sight read the incredibly complicated bass drum parts! 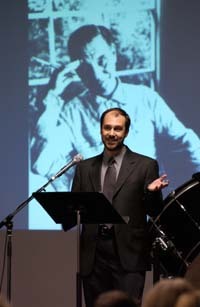 Julian Pellicano went on to graduate study in conducting and percussion at the Royal Swedish Academy of Music and at Yale University, and in 2009 was appointed principal conductor and artistic director of large ensembles at the Longy School of Music in Cambridge, Massachusetts.